Antennae are one of those things that plastic kit producers overlook. Generally vague in details, antenna bases are sometimes horrible pieces of plastic with noticeable seam lines that are impossible to clean up without destroying the piece. A pet hate of mine is trying to drill them from the top point of the antenna mount so that you can add the wire antenna itself. The drill always slips and ruins the piece completely. Why can't manufacturers at least provide a little dimple to start the drill so it doesn't slip sideways? Well, with this set, E.T. Model have gone one step further. These are cast hollow so all you have to do is slide your wire inside. Easy! And there are no seem lines to worry about. They even have real springs. which are bendable and can be posed like tied down antennas as seen in real life. The kit is well packed in a ziplock plastic bag taped to a card backing. The resins parts are fragile and small. 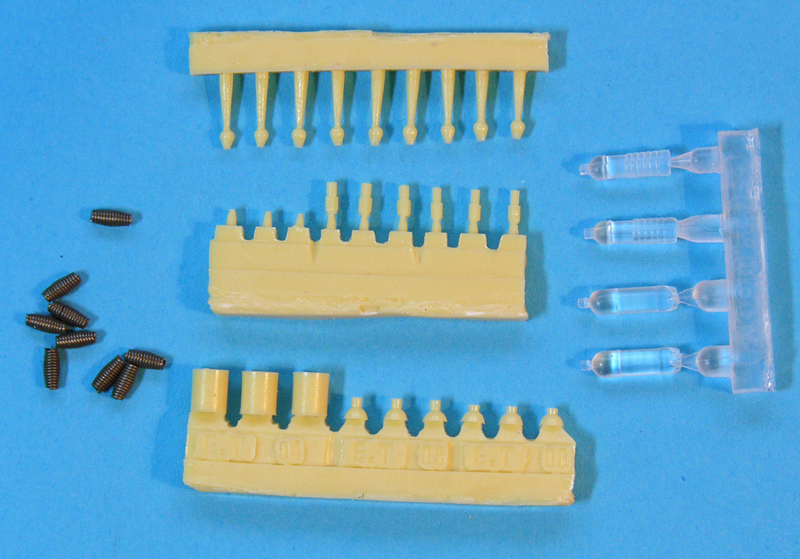 The content of the kit contains 3 resin sprues of parts, 7 black springs, 4 transparent bottles and a small sheet of instructions. Like the smoke launchers, this is not specifically designed for Leopard 1 or 2, but can certainly be very useful for both. Different antenna bases are provided in order to cover the NATO vehicle range. It can be used for Leopard 1s and 2s of the following nationalities: Australia, Austria, Canada, Chile, Denmark, Greece, Finland, Netherlands, Spain, Singapore, Sweden, Switzerland. Construction is easy. 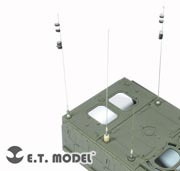 Shave off the plastic antenna base from the kit, select the correct base from the ones provided and glue in the aerial. No wire is provided for the aerial so the modeller has to choose. The build is finished by gluing a round safety end on top (where appropriate). Even this is provided in resin! All the resins parts are predrilled, so no tedious drilling activity on a fragile resin part. Two different antenna bases are provided as well as the connector for the aerial. 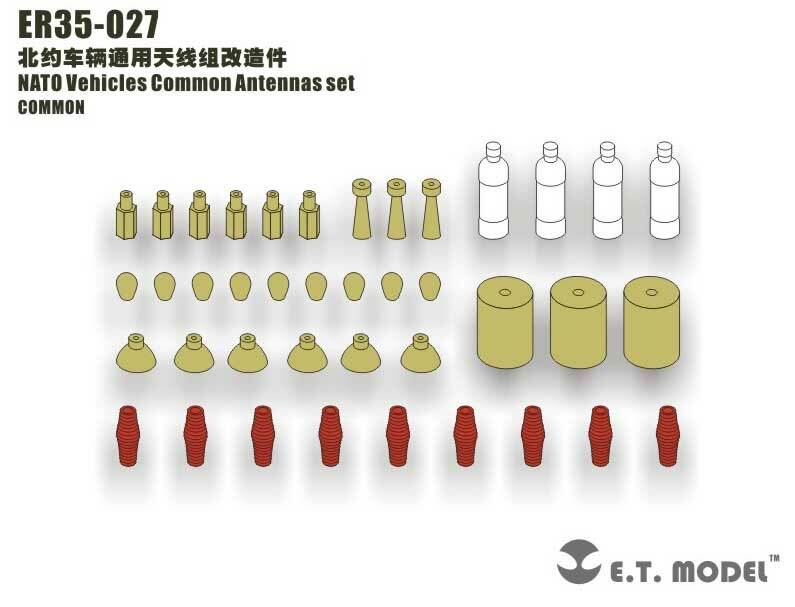 Apparently, you can generate seven different antenna types from the parts provided. Also, four transparent plastic bottles are included to depict those that contain chem-light glowsticks during night operations. This is an easy build and is one upgrade that is most definitely needed on modern kits.